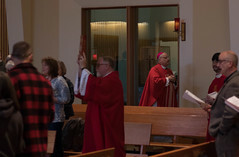 The Diocese of Juneau will be joining in prayer with St. Gregory Nazianzen parish in Sitka this week following the disappearance of two St. Gregory parishioners, Elmer and Ulises Diaz, and at least one other community member in a large landslide in Sitka yesterday. The mud and debris slide swept through a construction site where the men were working on Tuesday. Search and rescue workers have yet to complete a thorough search of the slide area due to ongoing risk. 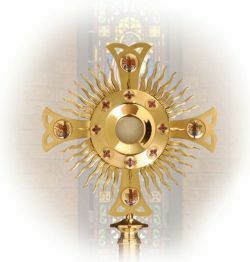 Eucharistic adoration is scheduled at the Cathedral of the Nativity of the Blessed Virgin Mary in Juneau for 7:00 p.m. on Thursday, August 20; the service will be led by Bishop Burns. 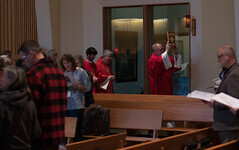 In Sitka, a Holy Hour of Adoration for the healing of the community is scheduled at 7:00 p.m. at St. Gregory’s Church on Wednesday, Thursday and Friday evenings this week, and will be led by Fr. Andrew Sensenig, OMI.